Brian Hughes is back for Carlisle’s final National Hunt meeting of the season on Tuesday when he will be crowned the course’s top jumps jockey. Ulsterman Hughes has enjoyed a fantastic 2017/18 season. He has chalked up more than 130 winners – 11 of those at Carlisle – including leading Waiting Patiently to an impressive win in Cumbria’s blue ribband jumps race, the Colin Parker Memorial Chase. Now, fresh from riding Seeyouatmidnight to an eleventh-placed finish in Saturday’s Randox Health Grand National, Hughes goes into Tuesday’s season-closing meeting at Carlisle six winners clear of his nearest course rival Craig Nichol. And he has no fewer than five rides in the seven-race card. 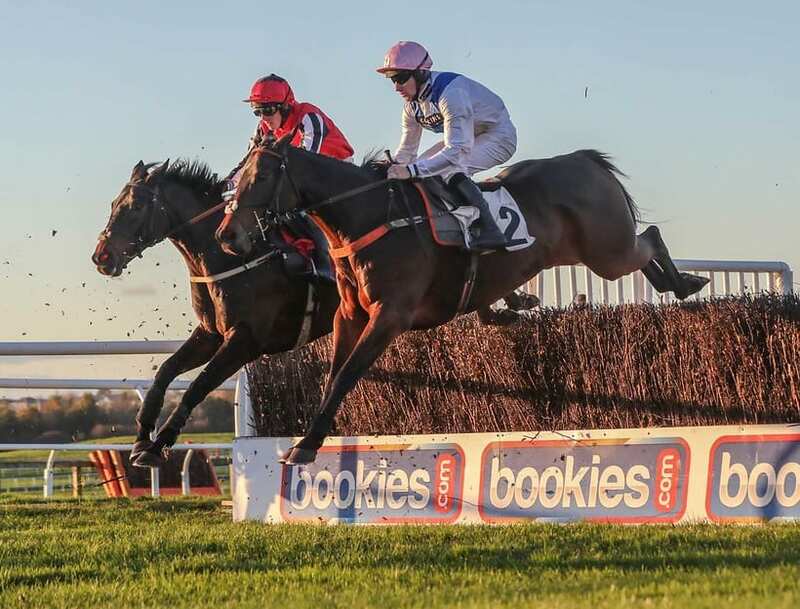 Molly Dingwall, Carlisle Racecourse’s General Manager, said: “We are delighted to be welcoming Brian back to the course again on Tuesday for our final jumps meeting of the season. “He has been a regular here throughout the year and he has chalked up some really impressive wins, none more so than winning the Colin Parker back in November. Among Hughes’ rides on Tuesday is the Donald McCain-saddled Mahler Lad in the 3m 2f Handicap Chase. The eight-year-old won last time out over three miles at Musselburgh in February. Two other Hughes’ rides with form at Carlisle are Brian Ellison’s Pistol Park, who was second last time here in March, and Lily’s Gem. The Stuart Crawford-saddled five-year-old goes in the National Hunt flat race after posting second when last at the course. Crawford, who leads the way as Carlisle’s top trainer with five winners this year, also has Crawfords Mill in the 2m 4f Handicap Chase where the five-year-old filly will take on the impressive Onlyfoolsownhorses. Micky Hammond’s seven-year-old has triumphed in three of his last four outings, including a seven-length win at Carlisle back in May last year, although this is his first outing of the season. One of the highlights of the day is sure to be be another intriguing match-up between the Lucinda Russell-trained Misfits and Stuart Coltherd’s Achill Road Boy in the Handicap Chase. The pair fought out a thrilling contest over the same 3m 2f distance at Carlisle on March 31 when Achill Road Boy edged it by three quarters of a length. Molly added: “It has been a good season here at Carlisle and we have seen some thrilling jumps racing. “We lost a number of meetings earlier this year due to the weather, but ever since we have been delighted with the attendances which go to show National Hunt racing is a big draw here at this wonderful racecourse. Gates open on Tuesday at 12.10pm. First race is 2.10pm and the last race is 5.40pm. Adult tickets are £15 (in advance) or £18 (on the day). All under 18s get in free when accompanied by an adult.